The 20th Pokémon movie, Pokémon The Movie: I Choose You! will be released in theaters worldwide this November, courtesy of Fathom Events. Across North America and other “select international markets”, the movie will be screened two nights only on November 5 and 6. More specific details on where and which theaters will screen the event are to come. 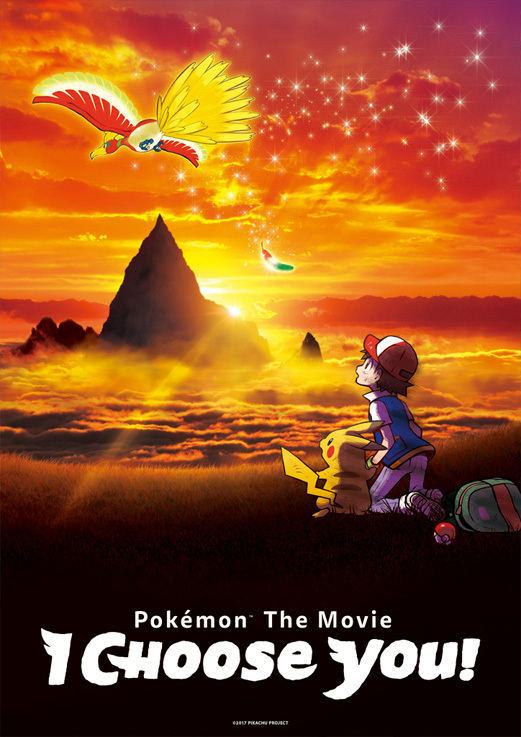 The 20th Pokémon is unique in the movie series pantheon as a re-telling of the early adventures of anime protagonist Ash Ketchum and his Pikachu. The re-imagining inserts new characters and even Pokémon into the story where they weren’t before. Pokémon the Movie: I Choose You! is an origin story highlighting Ash and Pikachu’s first meeting and their adventures as they search for the Legendary Pokémon Ho-Oh. The iconic pair encounter familiar faces along the way, new characters including Trainers Verity and Sorrel, and even a mysterious new Mythical Pokémon, Marshadow. Challenges and epic Pokémon battles abound in this unique new story about the beginning of one of the most beloved friendships in popular culture. This special release echoes the limited re-issue of the first Pokémon movie last year, aka Mewtwo Strikes Back! and its short Pikachu’s Vacation. The movie was released in Japan on July 15th, where it debuted at number 1 at the Japanese box office. The film made its true worldwide premier at Paris Expo 2017 in France earlier the same month. The Pokémon movies have generally been absent from the big screen in the west since its fifth installment, with the rare exception, so fans of the series will want to plan an outing to the movies accordingly this November. Pocket MonstersPokémon the Movie: I Choose You!